And then there was great sadness. Bright yellow pollen … from sunnier days. Yes, many colonies have all ready failed to overwinter, and we’ve hardly even had any winter. The good news is – those that weren’t going to make it until spring didn’t suffer long. The single digit temperatures of a few weeks ago probably accelerated the inevitable. God rest their little souls. And the bad news is – there will be many, many more that die before it is spring again. Reflect on what you did … and did not. Unless you totally ignored your bees and lost them (in which case, you’re a bee-haver and probably shouldn’t get back on the horse), you probably did your best based on what you know. So after you broaden your knowledge (#2 above), and figured out why this critical insect died on your watch (#3), do some hard self-scrutiny to figure out what you’ll change. Do you know if your mite levels were under control, and if not, what will you do differently? Did you pull too much honey? Did you assume those bottom five boxes were full of bees and stores and went into winter with a six-box tower when they only needed two? Did you realize that our 80-degree days in November and December meant they were eating critical winter stores, and offer supplemental feed? Your loss was probably the result of a bunch of assumptions, uncertainties and unawares that led you to make the beekeeping decisions you did. 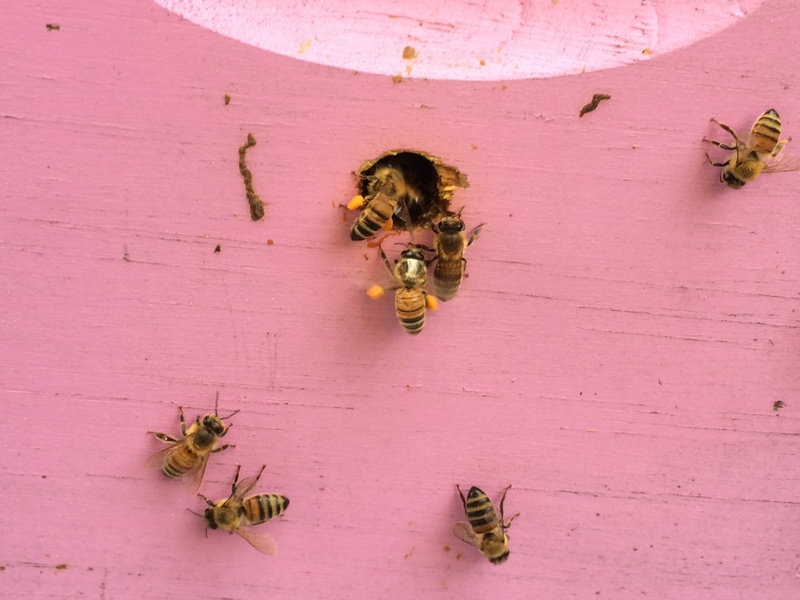 You just paid a hefty financial and emotional tuition—use it to make you a better beekeeper. Write it down. Find a style that works for you (plain old paper and pencil, a snazzy spreadsheet, whatever), and document what you did and will do differently. There’s nothing like reflecting on your beekeeping season to realize what you can’t recall and wish you’d written down … so make a note of those and resolve to track better next year. Support what’s left. Hopefully you have a colony or two or more still alive. When weather permits, you may want to check their emergency food ceiling and supplement if needed. Read up on the pros / cons of winter patties, and make a plan for possible use. Scrape the bees out of their doorways on occasion to save the survivors the labor, and move the decay outside of the hive. Try not to worry. Salvage any stores from the dead-out. Hives perishing this early in the winter likely died with some honey / pollen still intact. Carefully (frozen wax is very brittle) move it to a freezer for safe storage from rodents and wax moths. Freezing will negatively impact many of the possible diseases on the comb. If reusable (means you gotta have a good idea what killed them), drawn comb with stores will really help new or existing colonies in the spring. And if it was Varroa – those in the hive perished when their hosts perished. Order more bees. (Assuming you’ve had the critical self-talk and should get back on the horse, versus realizing beekeeping was fun and interesting but doesn’t fit your life right now.) You probably have a month or two to do this, but you will want to place your order before mid-March because there isn’t an endless supply. I don’t mean to sound old and resigned, because I’m just … resigned. I know I will have losses and it will claw at my heart. I hope the losses will stump me (temporarily) instead of being something I could’ve prevented, but hope I figure out why they occurred as well. We need bees. We all must figure out how to keep them alive so the world can continue to enjoy blueberry pancakes and applesauce, and the indescribable joy of watching them carry in pollen come spring. I miss you little winged darlings. Please let me know how I can help.